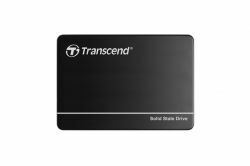 Featuring a SATA III 6Gb/s interface and a powerful controller, Transcend’s SSD410K is an ideal high-speed, lightweight, and shockproof replacement for traditional rotating hard drives. The SSD410K features a non-DRAM layout, providing higher reliability and lower power consumption than SSDs with a DRAM cache. Using MLC NAND flash chips with built-in technology including Power Failure Protection, ECC, and DEVSLP mode, the SSD410K offers optimum protection to data integrity on industrial-grade applications, such as POS, gaming machines, vending machines, and secure Systems.